This chart shows the value of the real Greek GDP in billion Euros. 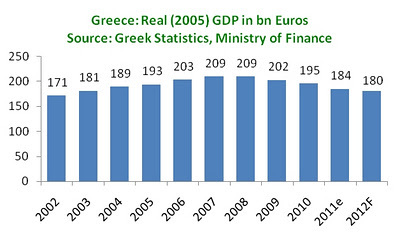 The Greek Statistical authority has revised the GDP numbers of the last few years downward. Which results in an estimated GDP of 184 billion euros in 2011. Which is about as high as the GDP in 2003.